The kitchen has underfloor heating under the original 300 year old Skiddaw black slate slabs which always warms the heart as well as the feet on those early winter mornings. 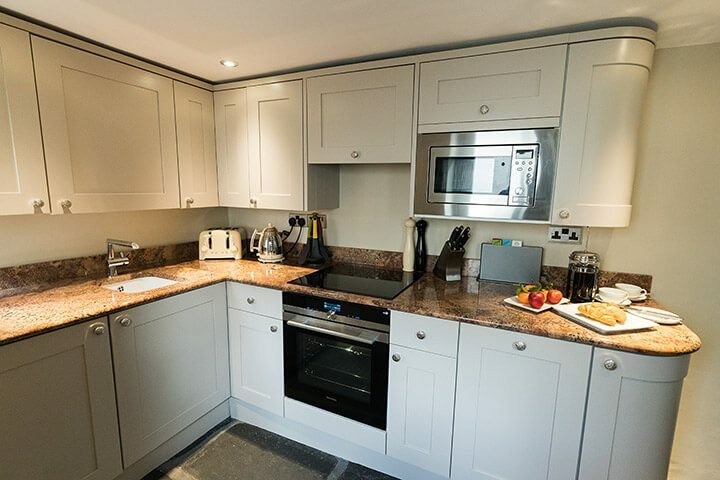 This stylish kitchen has everything you would need to self cater, including an AEG fridge freezer, a Siemens induction hob, oven, dishwasher, and an AEG washer / dryer. 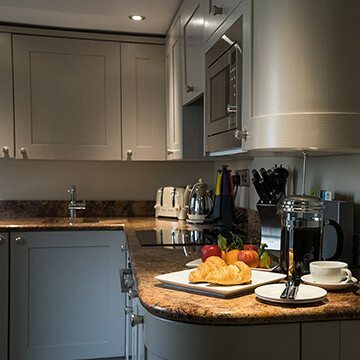 Attention to detail and quality equipment is on offer including a Juperana Bordeaux granite worktop which is beautiful in itself. Outside there is an enclosed courtyard with seating for four.